As a journalist, teacher, mentor, writing instructor, media consultant and sports content specialist, Steve Klein brings solid journalism credentials and values, the ability to work and communicate with people, and a cross-platform media vision to his academic and professional work. As Professor Emeritus of Journalism at George Mason University, Steve continues to work with young journalists after retiring from full-time teaching in 2013. 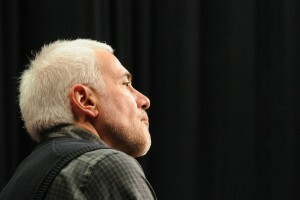 While coordinator of the Journalism program in the Communication Department at GMU beginning in 2003, he specialized in a cross-platform journalism approach and taught classes in Writing Across Media, Online Journalism, Sports Writing and Reporting, Political Journalism, Free Speech and Ethics, and History of Journalism, among others. Steve was honored by the Communication Department, as well as Mason Student Media, as professor and faculty member of the year for 2006-07. Steve was the sixth of seven professors in the department to be granted emeritus status (2014). Steve has a MA in Journalism from Michigan State University (1997) and a BA from the University of Wisconsin at Madison (1970) in American Urban History and Hebrew and Semitic Studies. He also has taught at Michigan State University, American University, the University of Mary Washington, and Cape Cod Community College, where he introduced the first class in Online Journalism at a Massachusetts community college during the summer of 2005. He is a Northern Virginia Writing Project Teacher Consultant, having completed training in 2012. Steve was awarded a National Endowment for the Humanities fellowship during the summer of 2002 and participated in a six-week seminar on “Sports, Society and Modern American Culture” at the Chicago Historical Society and Northeastern Illinois University. Steve has worked with online sports organizations on content and business issues, and with sports teams for general and online marketing. He also has worked with news, health, education and media organizations on the issues of integrating online and traditional media staffs, content and services. His clients have included drkoop.com as Managing Editor for News Operations, the PRIMEDIA History Group, Total Sports, SportsTicker, USA TODAY Online and the Detroit News. While working with drkoop.com, Steve participated in the creation of the groundbreaking Hi-Ethics guidelines for the online health industry. Steve worked with zUniversity.com, a sales and affinity marketing company serving higher education, as Director of Content Strategy and Development in 2000. Steve built newsroom operations at the company’s home (Stamford, Conn.) and satellite (McLean, Va.) offices; managed proprietary content for the company’s university partner portals; and participated in new content initiatives and partnerships. Steve was Online Sports Editor of USA TODAY, one of the most highly visited news destinations on the Internet, from June 1995 through 1998. His staff at USA TODAY created the most extensive nationwide network of online college correspondents, providing proprietary content for every Division I college football program and more than 300 men’s and women’s college basketball schools. Under his direction, the USA TODAY Online sports site was recognized among the most comprehensive and easy to navigate on the Internet. He also expanded the site’s professional sports coverage and built a fantasy sports site that was recognized by PC Magazine in its top 100 overall sites in 1998. Before leaving USA TODAY, Steve served as Special Projects Editor and returned to the company in 1999 as a consultant to initiate several early social media and interactive community features, including discussion forums called “The Nation Talks.” He completed a content analysis for the website during the summer of 2002. Steve possesses a wealth of cross-media experience, having worked for the Lansing State Journal (Sports Editor); Tennis magazine (Senior Editor); the Stamford Advocate (Executive Sports Editor and Features Editor); Enterprise Radio, an all-sports talk network (Media Director); the Cleveland Plain Dealer (Executive Sports Editor); the Akron Beacon Journal; the Cleveland Crusaders of the World Hockey Association (Media Director); the South Bend Tribune; the Wisconsin State Journal; and the Milwaukee Journal. While a member of the New Media, Newspaper and Ethics committees of College Media Advisers, Steve presented numerous online media seminars for students and advisers dating from 1995. He has also presented programs at American Press Institute and for Associated Press Sports Editors, and has visited numerous college campuses to speak to journalism students and work with student media. A frequent conference speaker, Steve spoke in Austin at the University of Texas in 2004 and 2001 at the International Symposium on Online Journalism and in Beijing in October of 2002 at a publishing conference on media convergence. He spoke at the first international online journalism conference in November 2005 at the University of Sharjah in the United Arab Emirates. While an adjunct professor from 1999 to 2003 in journalism at George Mason University, Steve introduced the school’s first course in Online Journalism and contributed to the creation of a cross-platform course, Writing Across Media, that is now the prerequisite class for the Journalism concentration and Electronic Journalism minor. He has also taught News Writing and Reporting, Introduction to Journalism, Political Journalism, Free Speech and Ethics, History of Journalism (From Gutenberg to Zuckerberg) and Sports Writing and Reporting, which he introduced at Mason. He also has taught Sports Journalism at American University. Steve taught as adjunct faculty at Michigan State University in East Lansing for nine years while sports editor of the Lansing State Journal. While at MSU, Steve completed his MA in Journalism and developed the school’s first course in sports journalism, “The Ethical Impulse in Sports Writing,” in 1993. During the summer of 2005, he introduced the first class in Online Journalism at a Massachusetts community college (Cape Cod Community College). Steve has developed a reputation throughout the industry for training aspiring journalists traditional techniques across multiple platforms using new technologies, and has helped place many of his students in journalism and public relations positions around the country. Steve served multiple terms on Mason’s Faculty Technology Committee, the Distributed Education Faculty Advisory Group, and the Athletic Council. He has also served on the Writing Across Curriculum and Nontraditional, Interdisciplinary, and Adult Learning (NIAL) committees. He has advised the GMU Cycling Club and the “Brown Hour,” which created diversity programming for WGMU cable. Steve serves on advisory boards for the Intercollegiate Online News Network (ICONN), and is a founding member; One Blue TV, which promotes intercultural understanding through social media diplomacy and outreach; the annual Washington Journalism and Media Conference for high school student leaders at GMU; and WiredAcademic, which brings independent analysis and reporting to the online education industry. After leaving USA TODAY, Steve was Vice President for Content and Development for GolfServ, helping the Internet startup company create and implement its strategic plan as well as providing key contacts in helping the company acquire content and online publishing partners. He was co-founder of SportsEditor.com, an organization for online sports journalists that pre-dated the Online News Association; and he provided strategic assistance and content to two early eZines, SportsJones and BlueEar. Steve also worked with the Primedia’s History Group in Leesburg, Virginia, helping the magazines develop a cross-platform content and distribution strategy. He was a founding contributor to the Poynter Institute’s E-Media Tidbits international journalism blog. He joined the Advanced Interactive Media Group, L.L.C., in 1999, expanding the group’s practice in the areas of interactive sports and media integration. Steve worked with Peter Zollman, Neil Skene, Steve Sullivan and Martha Stone in the group, which served a wide range of media and corporate clients. He joined Graham Associates, a Fairfax-based writing consulting and training group, in July 2001. Graham Associates serves corporate and government clients, helping business professionals, engineers and scientists produce quality documents efficiently and effectively. Founding principals Judith Graham, Ph.D. (English), and Dan Graham, (MBA), offer more than 25 years of teaching, writing and business experience to meet clients’ needs. Graham Associates utilizes a proprietary writing system in working with technical professionals who have mastered their discipline and need to master written communication. Clients include the Voice of America, American Management Systems, TRW, Inc., the U.S. Center for Drug Evaluation and Research, the U.S. Patent and Trademark Office, the Federal Aviation Agency, the Virginia Department of Transportation, and the Discovery Channel. Steve is an avid cyclist and biked along Tour de France stage routes in 2003, 2004 and 2007, including climbs in the Pyrenees and French Alps. He remains humbled by the game of golf. Steve’s favorite athletes include former Detroit Red Wings captains Steve Yzerman and Nick Lidstrom, the ultimate captains and team players; and Billie Jean King and Martina Navratilova for their leadership and courage. Steve and Sheila Furman Klein have been married since 1996. Steve has two sons by a previous marriage, Adam and David, two grandsons, Noah and Levi and an adopted cat, Sabrina.